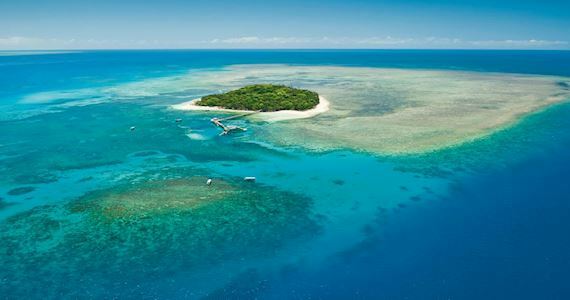 Our Cairns reef day tour allows you to enjoy the beauty of Green Island, part of the Great Barrier Reef with a full day reef tour departing from Cairns. A full day reef cruise departing Cairns at 9.00am allows 5 hours on Green Island and arrives back in Cairns at 5.00pm. “Big Cat” is a comfortable air-conditioned 35 metre catamaran with spacious interior cabins and a relaxed atmosphere. Travel time to Green Island is just over one hour from Cairns.